Yesterday Us Weekly came out with a nothing story about Lady Gaga and Jeremy Renner “hanging out”. Their source “doesn’t believe it’s romantic” right now but made sure to mention that the “hanging out” also involves Jeremy’s daughter Ava, as if to suggest that if Ava’s there, it must mean that Gaga means so much to Jeremy that she’s already part of his inner circle. A few hours later, PEOPLE.com followed with their own report. With zero additional details. That’s it. The rest of the article is about how Jeremy does music and Gaga does music and how she did the music for A Star is Born and that fact that she’s doing music now for her new album. So we’re no further ahead than we were yesterday. 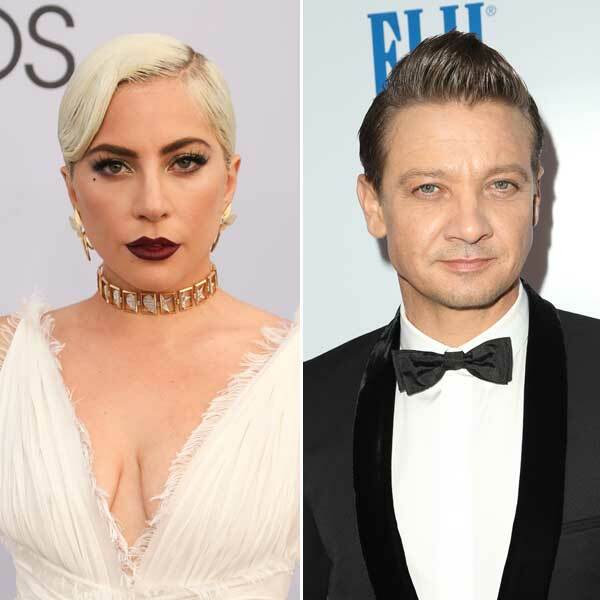 All we have for sure is this: Lady Gaga and Jeremy Renner are friends. Just friends but might be more than friends in the future? Not sure. You could say that about a lot of people. But no one wants to miss out on the possibility. Seems like everyone wants it to be a possibility. Like I said yesterday, I can see it, but PEOPLE just made me afraid of it. Because they pointed out the music thing. Are we going to see him onstage with her at some point? Is he going to do background vocals on "Bad Romance"? Jeremy writes music and I think he fronts some kind of cover band and every time he’s on a talk show or Saturday Night Live I feel like he’s always singing, or trying to. I’m sure I’ll be hearing from a few Rennerinos (that’s what they call themselves, LOL) now about how their fave can really, really sing. OK, sure. I guess this is what happens to Ally after Jackson dies. So get ready for it – LaRenner, the songbook, coming soon.